Space Color is a clean business theme that will help you create a website for your company or present yourself in a professional manner. Minimalist style and 100% responsive design enables this theme to display great in all kinds of mobile devices. The ability to have four different layouts for the front page gives this theme a lot of flexibility. Below the slider you can display your blog, a default page with sidebar, a full width page or a page with featured pages and posts like in our demo. 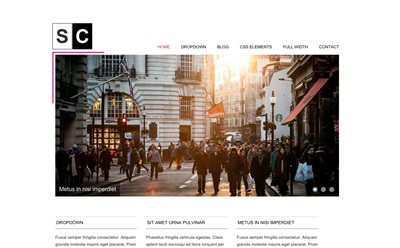 Featured ‘pages and posts’ page template.